Oh my gosh, this is the coolest book ever. I looooooooooove this! So darling. Truly. 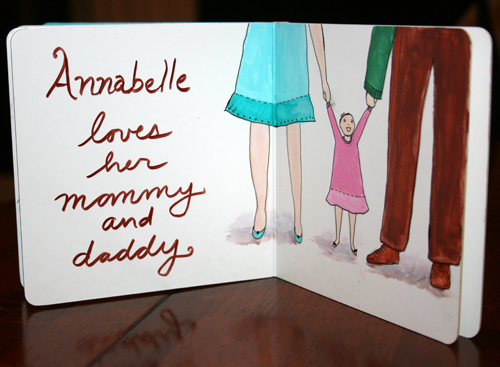 Maybe one day I’ll get around to making a book like this for my granddaughter who turns 1 in December. I made a book for my kids years ago – hate to admit how long ago although it doesn’t feel that long – anyway I digress- and it is one they STILL like to read through. She will treasure the book you are making for her for years and years!